Leaving your company is not an easy thing to do. There are processes that you need to follow for you to have a smooth and formal exit. 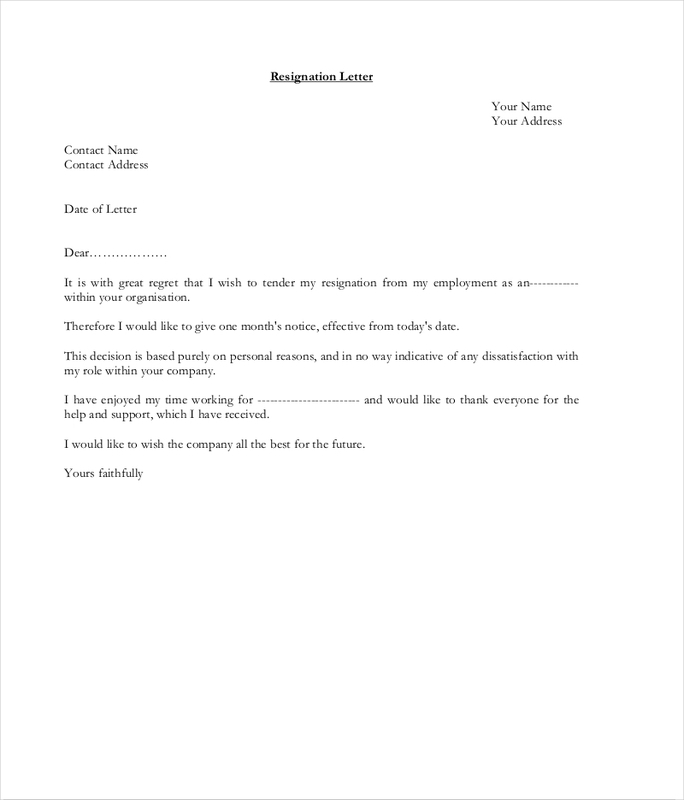 One of the documents that you need to submit when resigning is a resignation letter. Writing an official resignation letter is a way for you to show your professionalism even if you already plan to leave the company where you currently work. If you want to know more information about the appropriate creation of an official resignation letter, continue browsing through this post for tips, reminders, guidelines and downloadable examples. The process of resignation may take either immediately or for a long period of time, like a week or even a month. This will depend on the regulations of your business and the jurisdiction of the management depending on the reason of your resignation. Having an official resignation letter that can specify all the details that the management needs to know will allow you to have a faster time in ensuring that all the things that you need to accomplish for your resignation will be done in a timely manner. You may also see resignation emails. No matter what your reason is for resigning, it is important for you to leave a positive impact to the business where you will resign. You have to ensure that your employer fully understands the reason why you would like to resign as well as the factors that contributed to the finalization of the decision. 1. Express yourself in a formal manner. Be as objective as possible and avoid using harsh words against your employer. Remember, you might be transacting with them in the future so it is essential for you to leave with no heavy feelings. 2. 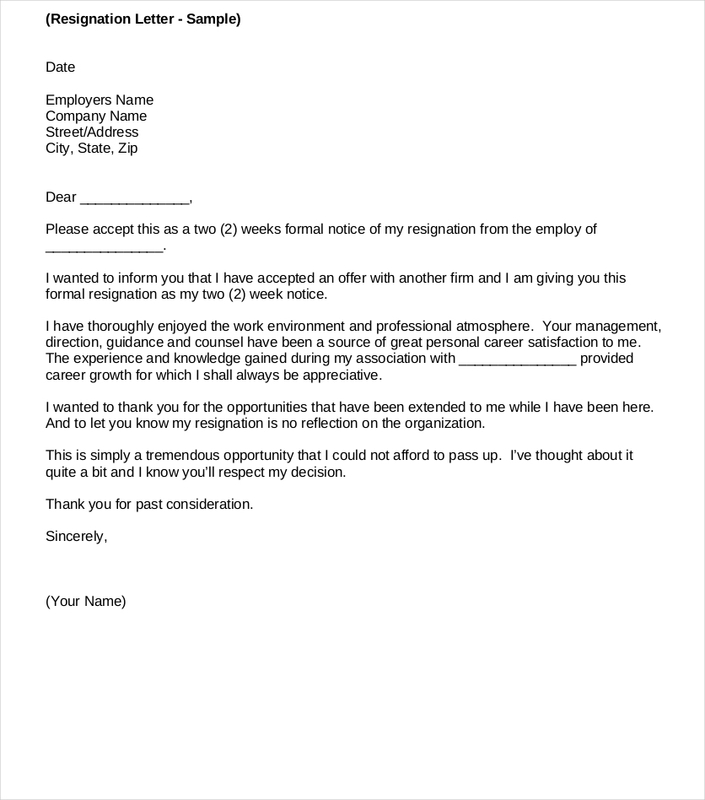 Learn how to write an email resignation notice. You can send this to your immediate head before handing your official resignation letter. This will make things easier as your manager or supervisor already has an idea of what the letter contains. 3. Know the platform or medium that you will use when sending your resignation letter. Do you want to have a physical copy? Or do you just want to send the document through e-mail? Doing this varies on the resignation guidelines and policy of your company. You may also see leaving notices. 4. Write the letter in a way that it will not sound and look rude. Be as professional as possible. Moreover, it is important for you to state resignation details if you are already sure about your decision. 5. Choose the words and information that you will put in your official resignation letter. This document can reflect your work attitude and professional being. You may also see two weeks notice letters. 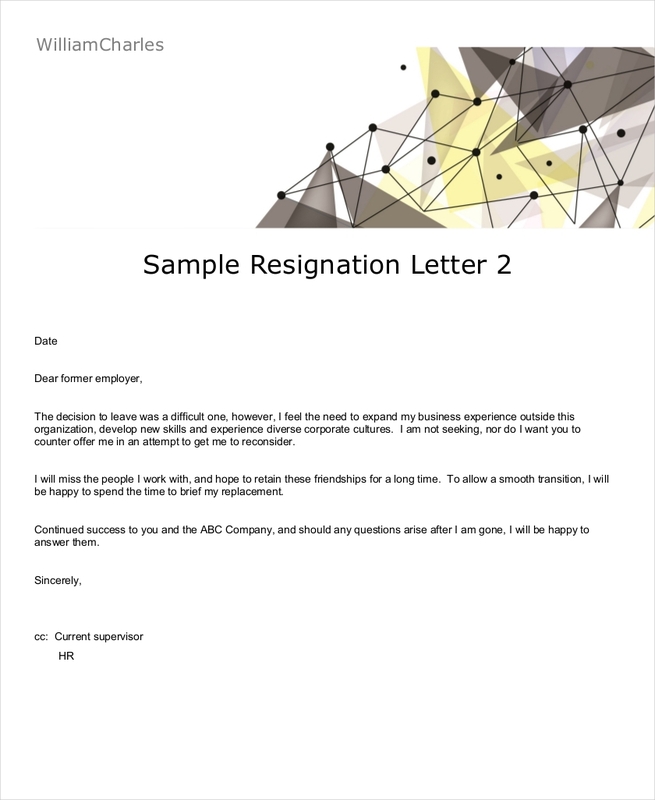 The way you create your resignation letter can affect the impression of your employer towards you. Hence, it is of utmost importance for you to take your time when identifying the items that you would like to discuss and when developing the flow of your letter discussion. 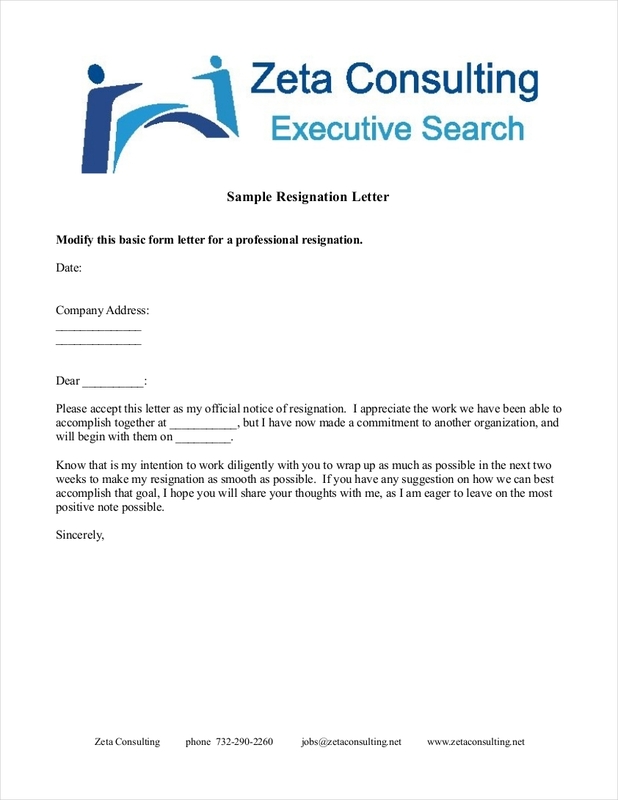 Listed below are the basic steps that you can follow if you want to properly execute resignation letter writing. 1. Write the date when you have written the official resignation letter. 2. Have a formal salutation. 3. Your first paragraph should already have your statement with regards your resignation. 4. Specify the main reason on why you would like to resign. 5. Identify the last day of your employment and the time period where you will render services before resignation. 6. A second paragraph is necessary as it contains a more detailed discussion about your decision. 7. Provide a message of appreciation for all the corporate opportunities that the business has provided you with. 8. It will be best if you can give a statement that you are willing to help in terms of finding a person that can replace you in your work designation. You may also see short notice examples. 9. End the letter by providing the contact information where your employer may reach you should they have questions or comments about the content of your resignation letter. 10. Sign the letter and hand it to your immediate supervisor. 1. 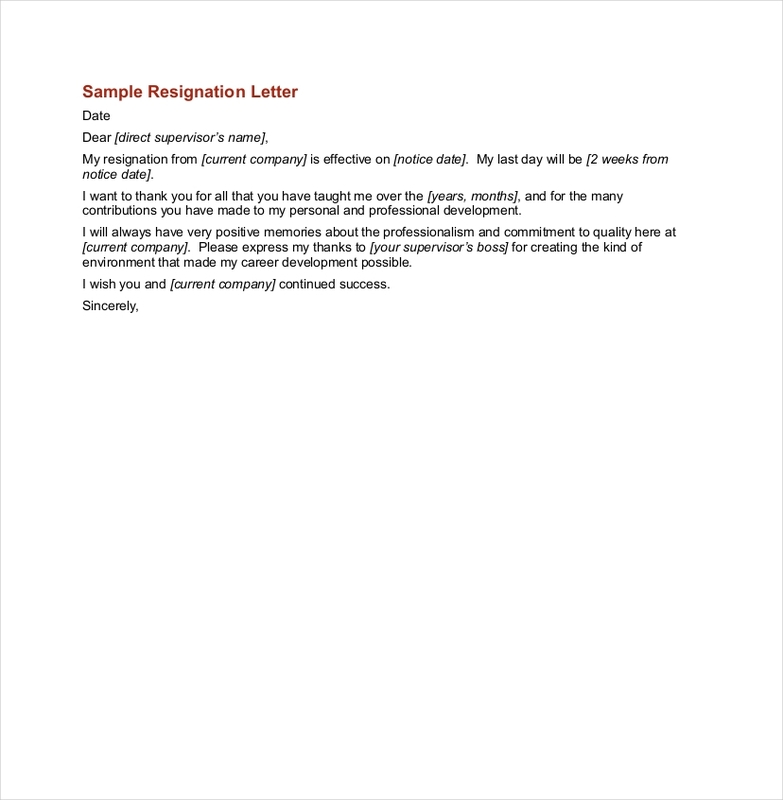 Create a resignation checklist that can guide you on what to include in the resignation letter that you plan to submit. 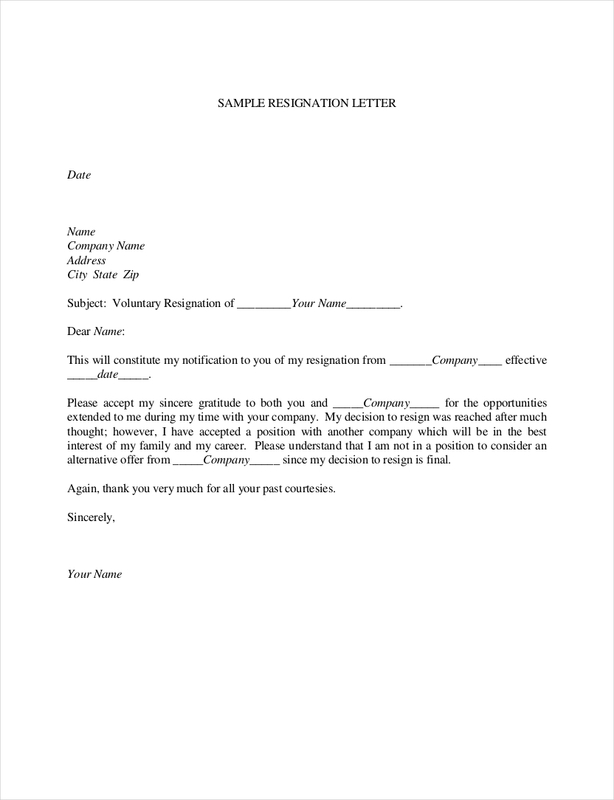 This will help you to have an official resignation letter that is well-formatted and organized. 2. Ensure that your official resignation letter contains relevant and precise information. Do not make the letter lengthy if you only want to discuss all the main information related to your resignation. 3. It is essential for you to have a clear statement on why you would like to resign. Have a concise way of discussing your decision as the management need to understand your side of the story. This will make them look at factors that they can improve on in terms of employee care and retention. You may also see formal letters. 4. As much as possible, write using a business format. 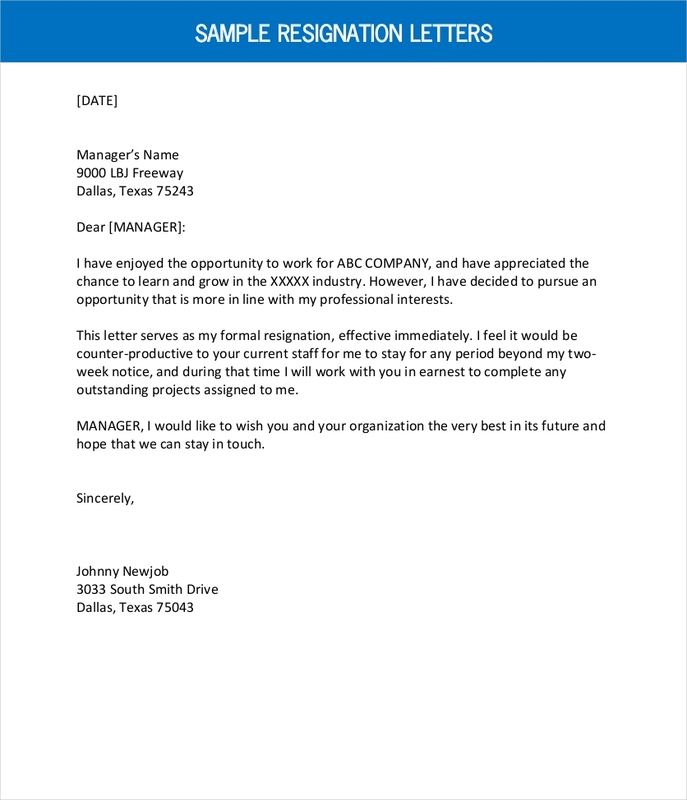 An official resignation letter will be kept in your records in the company. Hence, you have to ensure that all the items in there are professional-looking. 5. Do not forget to be polite as you need to maintain a healthy relationship with your employer. Moreover, you may also be needing their recommendation in the future. You may also see resignation checklists. 6. Always be appreciative of the benefits that you have received because of the business. Your official resignation letter is also a way for you to thank the company for all the things that it has given you and made you experience. 7. Ensure that the time frame of your resignation will be specified. The notice period will be the means by which the employer can still look for people who can possibly fit in the requirements of your work designation. Your employer needs to be prepared of your resignation just as much as you need to prepare for the next steps of your career that you will take. You may also see complaint letters. 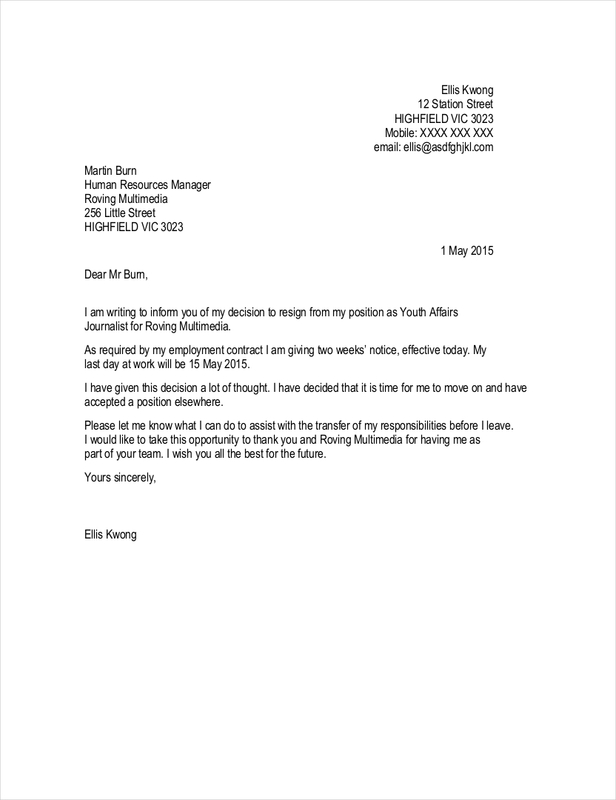 Should I Use Official Resignation Letter References? It is a part of reality that employees will really leave the company where they are currently working. May it be due to personal or professional reasons, people will not always be a part of a business as an employee within their entire lives. If you are an employee who would like to resign from your work post, you have to make sure that you can come up with a formal and official resignation letter. 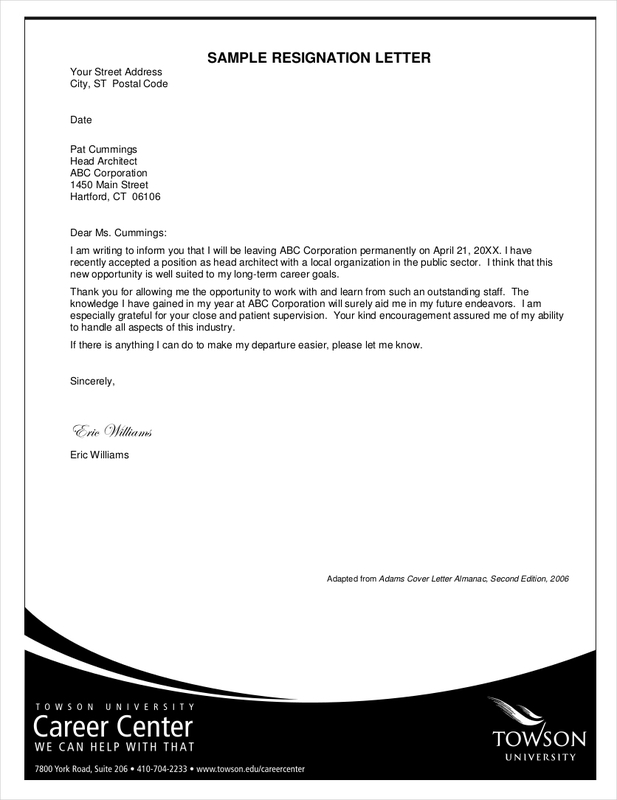 You may also see termination letters. We suggest the usage of references when making a resignation letter especially if it is your first time to create the document. These references can be the templates that you will use in formatting your own resignation letter or it can also be the samples from this post that will allow you to identify the necessary information that you need to include in the document. As long as you can discuss all the items about your resignation, then having references is alright. Samples and templates are just guides. It is still up to you on how you would relay your resignation in a professional manner. You may also see appointment letters.